This week Hilton Head Island SC, is hosting golf’s top players at the 48th Annual RBC Heritage Presented by Boeing (April 11–17) at the famed Harbour Town Golf Links at Sea Pines Resort. Spectators and players alike share a deep regard for a tournament that has become one of the most beloved, respected and charitable stops on the PGA TOUR. Hilton Head’s signature event and South Carolina’s only PGA TOUR golf tournament pumps more than $96 million into the state of South Carolina economy each year. 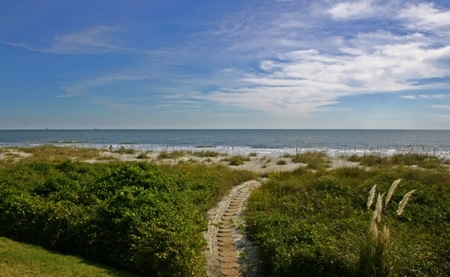 Beautiful beaches are standard at Hilton Head Plantation. Hilton Head Island SC has rebounded significantly from the days, not many years ago, when the very future of the Heritage was in question. Last year‘s record 2.65 million annual visitors were, in many ways, the result of $300 million dollars invested in the island’s hotels and amenities over the last few years by new owners and legacy investors as well. Send me more information about Hilton Head Plantation! Sea Pines Resort alone has invested between $50 and $100 million dollars in a new 55,000 square foot club house at Harbour Town, complete with a 4,000-square-foot locker room to accommodate a full tour field, renovation of its golf courses, indoor and outdoor dining venues and other amenities. Tourism generates over 15,000 jobs in Beaufort County or roughly 17 percent of the workforce and tourism’s economic impact on Hilton Head is estimated at $993.6 million dollars annually. Real Estate buyers have taken notice. Total closed sales increased 13.2 percent on Hilton Head Island in 2015, according to South Carolina Realtors’ annual market report. Hilton Head continues to lead the state in highest median list prices, at $276,900, up by 7.3 percent from 2014. Moss Creek offers golf, equestrian facilities and dockage. Statewide, the annual median sales price was up by more than 6 percent, to $172,000 — the highest since SC Realtors began tracking it in 2005. The median owner-occupied home value on Hilton Head is $447,400. Send me more information about Moss Creek Plantation! Hilton Head, with its beautiful beaches, golf, tennis, great shopping and a host of dining options is a magnet for 2.5 million visitors a year and many of those return to become part of the islands 38,000 plus permanent residents. That trend is especially true for retirees. 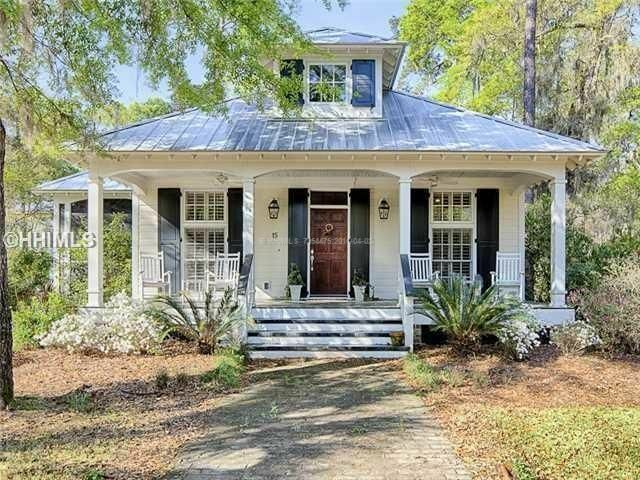 Palmetto Bluff: Exquisite Lowcountry style. From 2000 to 2014, the Town of Hilton Head aged at three times the national rate. Today about a third of residents are older than 65 – up from 24 percent in 2000. Send me more information about Palmetto Bluff! Older yes, but they are also more educated, socially active, wealthier and more inclined to volunteer their time and skills to give back to the community. About 58 percent of the island’s seniors have a bachelor’s degree compared to 37 percent in Beaufort County and 22 percent statewide. Serve crabs for dinner courtesy of Oldfield’s crabbing dock. Beaufort County has the highest per capita income in the state at $32,290, in part thanks to Hilton Head’s $45,116 per capita income, only slightly more than half of which comes from wages. Send me more information about Oldfield! The islands retirees are a game-changer for the local cultural institutions such as the Hilton Head Symphony Orchestra and the Arts Center of Coastal Carolina. Colleton River offers 36 holes of champion golf and water views. Their volunteerism, philanthropy and an abundance of talent also provide a support system for the islands non-profits such as Volunteers in Medicine, the Coastal Discovery Museum and others. 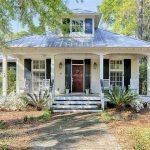 Send me more information about Colleton River! Volunteers also provide thousands of hours of service on the Town of Hilton Head’s many committees. There is little doubt that this group is reshaping the future of Hilton Head for the better. It is a remarkable place to visit and an even better one to call home. And more so now than ever.